Paytm Cash Launched; Cashbacks Cannot Be Transferred To Bank A/C! Paytm claims that this will stop people from misusing the cashback offers. In the last one year, Paytm and Paytm Mall, both have announced stunning, mind-blowing cashback offers for a variety of appliances and heavy amount purchases. Recently, during Diwali sales in the month of October, Paytm heavily discounted iPhones and MacBooks, and offered cashback up to Rs 10,000 to 20,000, when users bought the products via their app. From now on, those cashbacks cannot be transferred to any bank account or even to your friends, because from now on, this would be converted into Paytm cash. Is it the end of the honeymoon period for Paytm cashbacks? Paytm to Users: Sorry, Cashback Can’t Be Converted Into Hard Cash! Silently, Paytm has rolled out their new feature called Paytm Cash. 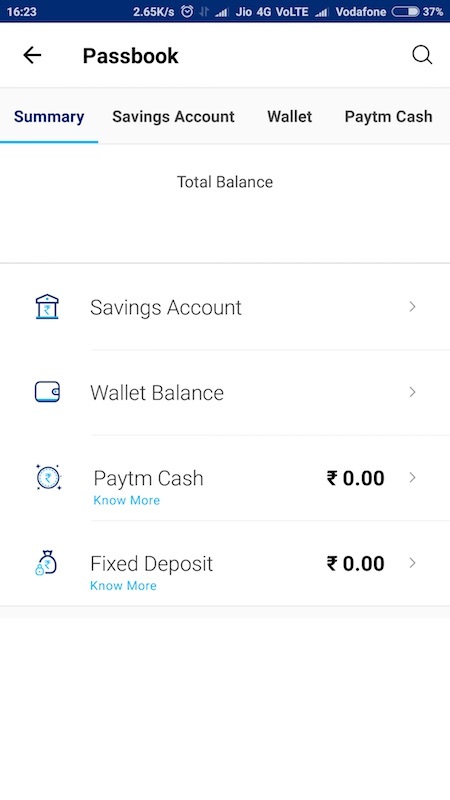 Any cashback which a user receives on their Paytm account gets converted into Paytm cash, and when this happens, then that amount would be locked inside your Paytm app. Hence, that amount can’t be transferred to your bank account nor transferred to any friend so that you can convert it into hard cash. As per some reports, this change has been made on the server side, which means that the end-user would be able to instantly access this change – an app update is not required. Analysts are stating that this is a big blow to those consumers, who were looking forward to using Paytm for their purchases as the cashback offers were rolled out. However, as per Paytm, this will stop ‘misuse’ of cashback offers. What Is Paytm Cash, And Where It Will Reflect? The main Passbook section will be the defacto hub to check out and monitor all transactions, including Paytm Cash. WIthin the Passbook section, a new sub-section has been silently introduced, which is named as Paytm Cash, and all cashbacks received by the user will be accumulated over there. Hence, this new Paytm Cash can now be only used where Paytm is accepted as a valid payment method, and cannot be mixed with the Wallet amount, which is the amount added via bank account. Note here, that amount parked in the Wallet can be transferred to the bank account anytime. We have not received any communication or update from Paytm regarding this new feature; or why exactly the cashbacks are automatically converted into Paytm Cash, and why that cannot be transferred into a bank account. Govt. Makes GPS, Panic Button Mandatory In All Public Transport Vehicles!